The Food Bank is fortunate to have several generous volunteers and contributors to its fresh food effort. Among them are three Community Gardens. Each is unique in its own way. Harvested food from each is donated to the Food Bank for distribution. 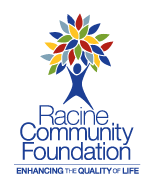 This non-profit community vegetable garden, run by UW Extension Master Gardeners donates all of its produce to the Racine County Food Bank. The Garden of Giving has a "Wish List" of items needed to build and maintain the gardens. 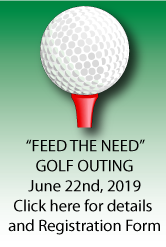 If you would like to donate an item from the List, please contact either the UW-Extension Master Gardener office at: (262) 886-8460, MGV Betty Robinson at: (262) 554-6233 or MGV Karen Woolley at: (262) 878-2887. Located on what was formerly industrial “wasteland” adjacent to the Food Bank, the Teaching Garden was built through the efforts of corporate and individual volunteers. Its mission is to teach people interested in having their own garden the necessary steps to till, seed and maintain their plants up to harvest time. The Teaching Garden is particularly geared toward helping individuals with little or no gardening skills acquire necessary knowledge for a successful garden. The Racne Urban Garden Network secures, manages and offers garden plots for individual use. To learn more and to apply for a plot, please contact them. Their website is below. Interested In Starting A Community Garden Of Your Own? The University of Wisconsin Extension People & Plants Project, located here: http://fyi.uwex.edu/peopleplants/videos/ has some excellent information for anyone contemplating or working on a Community Garden.